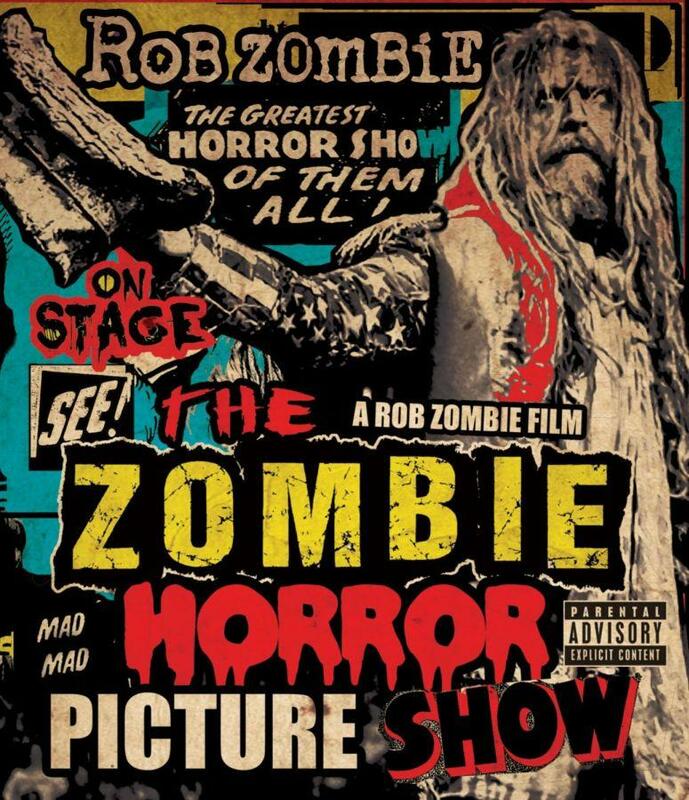 Rob Zombie - "The Zombie Horror Picture Show"
Los Angeles, California – March 11, 2014 – Rob Zombie’s first concert film, The Zombie Horror Picture Show, will be released May 19 by Zodiac Swan/T-Boy/Universal Music. The feature-length concert film, recorded live over two sizzling nights in Texas, captures Zombie's elaborate, multi-media production of mind-blowing SFX, animatronic robots, pyrotechnics, oversized LED screens and state-of-the-art light show combined with his powerhouse band featuring John 5, Piggy D and Ginger Fish. The Zombie Horror Picture Show, available on Blu-ray, DVD and longform digital video, puts the viewer at the centre of the hot and nasty action for a blistering set of 16 Rob Zombie classics, including “Dragula,” “Dead City Radio and the New Gods of Super Town,” “Living Dead Girl,” “More Human Than Human,” and the crushing cover of Grand Funk Railroad’s “We’re An American Band” from the seven-time Grammy® nominee’s U.S. Top 10 2013 album, Venomous Rat Regeneration Vendor.